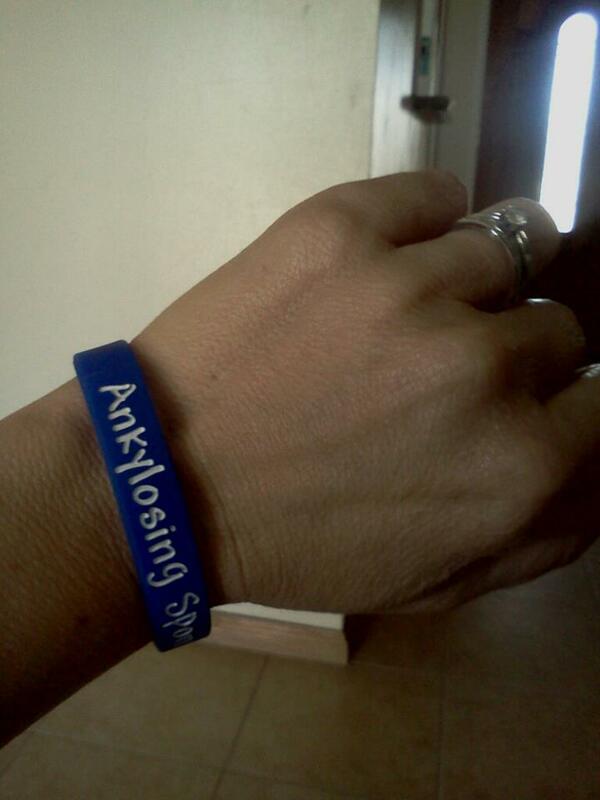 My name is Deana DeVries and I am a face of Ankylosing Spondylitis. I had symptoms for years starting around the age of 25. I was told my pain was caused by stress and there was nothing wrong with me. I had many sleepless nights due to the pain in my lower back and surrounding my ribcage. I went to the Orthopedics and Physical Therapy for years and years and no one could tell me what was wrong with my body. One day I woke up with a terrible eye infection. The pain was horrible and I could not see out of my right eye. I went to the eye doctor and he said it looks like iritis he immediately referred me to the Opthalmologist. He was right I have a very severe bout of iritis. The Opthalmologist knew right away what it was caused by due to my symptoms and pain I described. My Opthalmologist sent me to a Rhuematologist and I was then sent for x-rays and that is when they found out I was HLA-B27 positive. After proper diagnoses at the age of 31 I was on a mission to get the right meds to treat this agony that I have been suffering so long. I did tons of research on the internet and found out the best thing for me would be to be on Humira. Well it was not that easy. I had to try several meds before my insurance would “approve” Humira. It was hell I got so sick from Methotrexate and Prednisone. I lost a ton of weight and through all this I could still not see out of my right eye. I had to put steroid drops in my eyes for months and months until it healed. I have lost partial sight in that eye permanently. After trying many meds I got approved for Humira. Humira changed my life. While I still have flares it is nothing like before. I have been on it about 5 years and I have had some moments where I feel like it isn’t working anymore, but all in all it has really been like a miracle drug. I am very weary about side effects but the benefits are so amazing. As I was very relieved to be properly diagnosed sometimes I get very depressed. Why me? I am too young to be in all this pain. It is not fair! I am trying to be more positive every day. I try to exercise as much as possible because if I don’t I get so stiff. It is hard sometimes but you just got to push through it. I constantly struggle with how much to tell my friends and family about my pain or problems with drug side effects. While I want them to understand and have sympathy for me at the same time I do not want them to feel sorry for me or treat me different. I struggle with making plans too far ahead because I have no idea how I will feel. I don’t want to seem flakey when I have to cancel last moment. I do as much as I can when I can and when I can’t I rest. This is the best I can do and it is going to be a lifelong learning experience for myself, family and friends. I am lucky to have an amazing supportive family and I am also very grateful for groups like this that really understand what I am going through. I am not alone and it will be ok. Thank you for sharing your story with us, it is truly amazing what all we go through. We are never alone from this day forward. 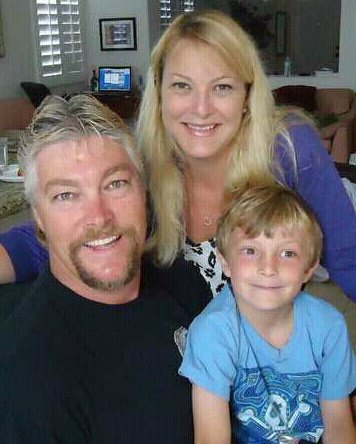 Deana, our stories are very similar, but my symptoms started at 18, and I was told I had growing pains! I wound up with spinal surgery for ruptured discs at 21, and was told I had an unusual amount of arthritic growth for someone so youn. Finally at age 31, I had a confirmed diagnosis…which was bittersweet. Having a diagnosis and knowing it wasn’t “in my head,” as many people told me, was a relief. I also suffered from Iritis early on (first bought in my early 20′s). My eye dr. asked if I had arthritis, but there was no mention of AS or referral to a Rheumy. Thankfully, you had a proactive doc to lead you. Normally, I’m so tired of talking about this disease, but with our stories being so similar, and I see you’re also a mother, so I had to reply. I went on Enbrel in 2000, but with so many occurrences of Irits (one which altered my sight in one eye as well), I now take Humira. I will occasionally have a mild case, but that’s it. Enbrel and Humira have changed my life! Without the shots, I would not be able to function. I work full time, I have 2 kids entering adulthood and I am very active. If you didn’t know I had AS, you wouldn’t be able to tell by looking at me. I owe it all to the medication, and the fact that I refuse to let the disease win. So, hang in there, stay positive, and don’t be afraid to talk about it. Like you said, there are many support groups out there, and you’re not alone. Hi, I have yet to tell my story, but look forward to doing so as the last 10 years of my life have been extremely difficult. I suffer with ankylosing spondylitis as well as psoriatic arthritis. According to my rheumatologist it is likely that I had been affected long before I realized, as the joint damage in sacroiliac joints was very signifigent. I am currently being treated with methotrexate, the highest dose my rhruem will allow and also Enbrel 25mg 2x per week. I have tried Humira, it helped a lot with the fatigue but not the pan, the Enbrel helps more with the pain but the fatigue is crippling for me. Nontheless, neither have given me back my quality of life. I’ve been treated for over 2 yrs now and still no luck? Just curious how long it took for the Enbrel to help you. Deana, my AS also started with iritis ( and back pain).IMy opthamoligist, physical therapist and my mother (who is a BSN) all suspected I had AS but it took me 5 years of going to different doctors before I found one who confirmed their suspicions. Today, I haven’t had a flare-up of iritis in many years-but I did at one time have it in both eyes !! Keep up your positive attitude and STAND TALL !! After 35 years of learning how to live with this disease on my own (first diagnosed at 14), I’ve recently decided to go in search of community. It’s amazing to find not only these stories and faces, but you who nearly share my same name! I hope your journey has been strong in the time since you wrote this. Thank you cookie for all you do for us. I cannot belive you have reached so many of us to get our stories. I am honored to be a part of this group. Can you believe it has been almost 6 years of collecting Faces! Thank you so much for your beautiful words. I find myself needing them today.